Learn how to cleanse, how to heal & how to feel great all of the time, sign up and grab your free Cheat Sheet today! Get Started On Your Plant Based Journey Today! 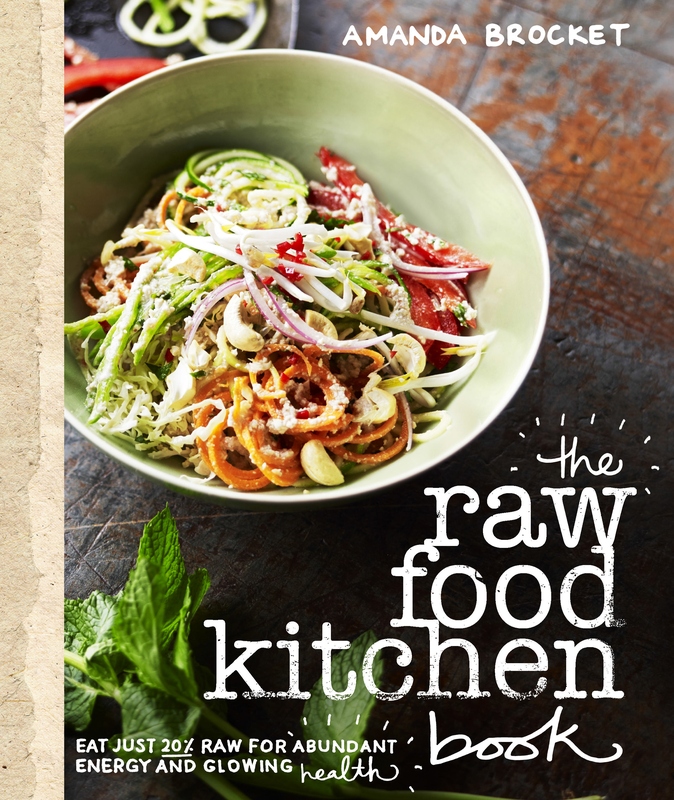 Get The Raw Food Kitchen Book! In this beautifully shot and illustrated hard cover book I explain how you can easily start incorporating more raw food into your diet to experience its life-changing benefits. PLUS get loads of yummy raw food recipes to play with, plenty of insightful info on how to use the superfoods, raw speciality foods and more. Try out our one week bonus meal plan included! Oh and lots more about my story from illness to wellness, and how you can heal from systemic candida. Yes Please I Would Love This Book! The standard western way of living today contains 80,000 toxic chemicals every day. Modern processing methods such as high heat, pasteurisation and homogenisation are used to extend shelf life and stabilise food products such as fruit juice, canned or jarred food, milk, yoghurt, cheese – almost anything you see on a supermarket shelf that is in a packet, can or jar. This process destroys many nutrients, vital enzymes, or vital life force from the food. This is “dead” food, the opposite of the “alive” food you get in a raw food diet. A raw food diet or plant based diet is mainly based on vegetables, fruits, nuts, seeds, superfoods and fermented foods. Food that are alive with vital life force your body needs for optimal digestion, energy and health. An apple contains 100% apple. A zucchini 100% zucchini. That is where we need to start. A raw food diet will lead you away from denatured, processed and “dead food”. By using unprocessed, unrefined, cold-pressed and uncooked food you make sure the maximum amount of nutritional value is available to your body and can be utilised for fuel, repair and metabolism. If you think raw food is all carrot sticks and celery let me surprise you! In a raw food diet, using some cool yet easy techniques I can create a range of many of your “old” favourites using organic vegetables, fruits, dried fruits, nuts, seeds, gluten free grains, good fats, superfoods, fermented foods, sea vegetables and sprouted grains and seeds. A raw food diet will allow your body time out from overwork and gives your body the opportunity to self heal. Your body will by itself start cleansing out toxins and diseases when you stop loading it with hard to digest processed and cooked foods, and give it food that is alive and nutritious. While I don’t technically cook food, I can heat it slightly without destroying the amazing properties of the food. 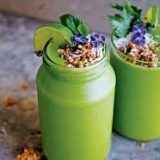 Using a dehydrator or blender and not heating the food above 44˚C or 115˚F means all the living enzymes in the food remain intact and your body can easily digest and assimilate every nutrient and deliver them to every cell in your body, giving you abundant energy, glowing health and a happy heart. 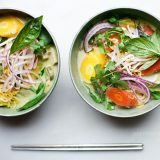 I Re-create Many of Your Favourite Dishes, Just Healthier! This also allows you to experience a cooked taste, texture and crunch many of us are familiar with eating traditional cooked foods. BBQ onions, check! Marinated grilled mushrooms, check! Lasagne, quiche, pizza, crackers? Check! The raw food diet and plant based ingredients allow you to go on to make the most amazing array of dishes, from dehydrated kale chips, superfood smoothies with almond milk and cacao, simple salads, cultured vegetables, nut cheeses, “pasta” dishes made from vegetables, or a “pizza” made from sprouted buckwheat or activated nuts and vegetables, home made “granola” to decadent desserts that are all gluten free, diary free, sugar free and it all tastes divine! You get to reap the benefits from a raw food diet without feeling like you are missing out on your favourite meals, never feel deprived again, and instead of feeling bloated and heavy after eating, eat as much as you like and gain more energy and vitality, feel nourished, healthy and well. Jump into one of my classes and retreats to learn more about how a raw food diet will love your body so your body can love you back and experience optimal health every day with all that you learn from me. A raw food diet consists of nuts, seeds, vegetables, fruit, superfoods, cultured vegetables and sea vegetables that are consumed in their whole, unprocessed state, or as close to as possible. This means the food is consumed in a “living” state, which in turn, creates energy for us inside of our bodies. Raw foods are also not heated above 44-48 degrees celsius (111-118 Fahrenheit), this ensures the living enzymes in the food remain intact so the body can assimilate for optimal nutrition. Working with food at this temperature requires a dehydrator – a raw foodies “oven”. What does it mean to be a raw vegan? A truly raw vegan diet is free from dairy, meat, wheat, gluten, bee products and NO food cooked above 44-48 degrees Celsius (111-118 Fahrenheit). And consists of nuts, seeds, vegetables, fruit, superfoods, cultured vegetables and sea vegetables that are consumed in their whole, unprocessed state. What is a live food diet? A live food diet is essentially a raw food diet or uncooked plant based diet. The nuts, seeds, vegetables, fruit, superfoods, cultured vegetables and sea vegetables form the basis of a raw food diet and can be made into a wonderful array of dishes – think nut pastes, sprouted grains and seeds, nut milks, pizza bases, pasta, cheesecake, chocolate, salad dressings, wonderful salads, cultured nut cheeses and traditional fermented vegetables, the list is endless. It really is a very exciting and clean way of eating. Cooking destroys the vital life force of the plant food, as well as depletes essential vitamins and minerals. This can lead to compromised immune systems. For optimal health you may want to consider a raw food diet. Try my 7 Day Raw Food Plan and get to see and feel the difference going plant based can make for you in just one week! You haven't checked out my FREE 5 Hacks To Plant Based Eating In Just 5 Days cheat sheet yet and you're already leaving? Give it a try, right now! As I said, it's FREE and it will get you started on a plant based journey in just 5 days. Even if raw wasn't your thing so far. I will send you my FREE Cheat Sheet with 5 simple hacks as a gift in exchange for your name and email address. You can apply everything at home very easily and get started with it right now! Get the FREE Cheat Sheet PDF in your inbox now! You agree to receiving my regular emails that help you with your plant based journey. You can decide any time to opt out from those emails if you wish so. We promise to not use your email for spam!